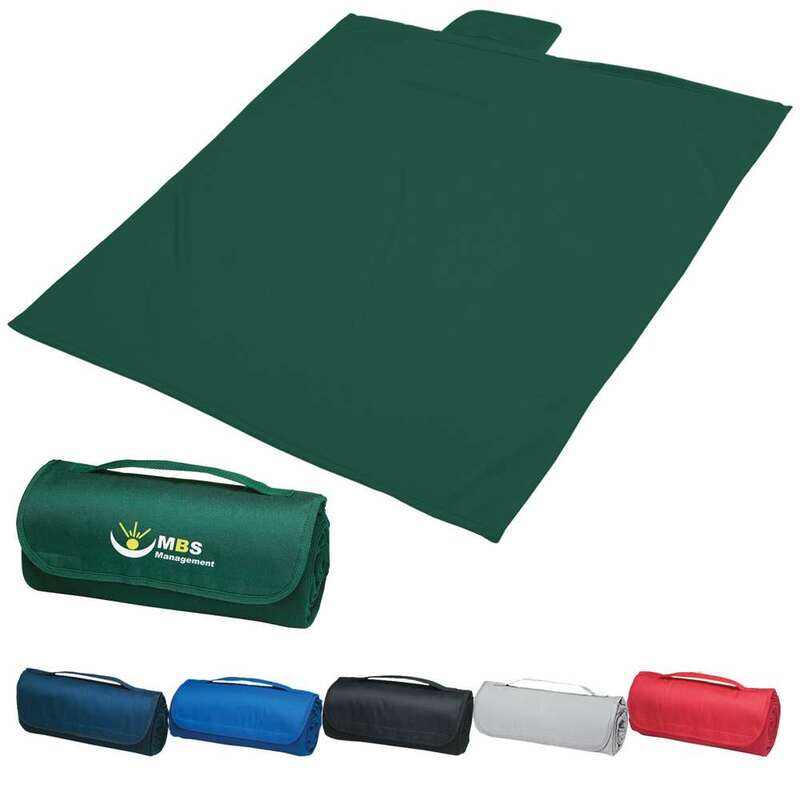 The Sweatshirt Roll-Up Blanket is large, long lasting, durable, and convenient to carry. The large blanket is made of 100% polyester, sweatshirt material, with fleece underside. The Sweatshirt Roll-Up Blanket is large, long lasting, durable, and convenient to carry. The large blanket is made of 100% polyester, sweatshirt material, with fleece underside. It is surface washable and easily folds within itself. A Velcro® closure secures the blanket and the attached handle makes it easy to carry. It is available in black, red, royal blue, dark blue, gray, and hunter green colors. Gift it to your valued customers this holiday season and boost your brand’s popularity.